In which Malcolm Wyatt swaps notes with Hugh Cornwell on the former Stranglers frontman’s latest album, Totem and Taboo, a surefire winner as far as both are concerned. 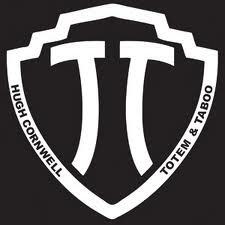 Following rave reviews in the UK, Hugh Cornwell’s new studio album Totem and Taboo was released in the US this week, having already proved a major both-sides-of-the-Atlantic project – demoed in London then recorded in Chicago, where it was engineered and mixed by the legendary Steve Albini. And after a few listens I totally concur with those fine reviews, as Hugh – alongside bassist and backing vocalist Steve Fishman and drummer and percussionist Chris Bell – builds on where he left off with Hooverdam, one of several recent HC albums aided by Chris Goulstone, who mastered this winning 10-song long player too. From the moment Hugh Cornwell’s raunchy guitar and trademark vocal rock growl comes to the fore on the title track kicking off Totem and Taboo, it’s as if the years have been rolled back. Here for all intents and purposes is an established artist on a creative high, and as fresh in outlook as in those ’70s and ’80s heydays. And while the voice brings Lou Reed to mind at key points, there are parallels with David Bowie’s 2013 successful return The Next Day and its own self-titled intro. Interestingly, Hugh also acknowledges that Bowie influence. HC: Strangely enough this was the last track I wrote for the album, but it’s become one of my favourites. A hint of ‘Rebel, Rebel’ with some Marc Bolan glam thrown in. I’ve always liked songs with the marching 4’s on the snare, and that’s what it is supposed to be, a rallying call for like-minded souls. I was playing this live most of last year so it went down easily enough in the studio. After that triumphant start, there’s a clear Steve Albini influence behind Hugh’s story-song observation on a certain global celeb on The Face, the master engineer’s stark treatment of Bell’s background drum sound and Cornwell’s searing guitar break further in something those of us who appreciate the musical worth of The Wedding Present and more inspired moments of grunge will appreciate. The chorus then takes us off into more traditional Stranglers territory, one of several songs here that led to me humming Duchess these past couple of weeks. Cornwell’s wordplay also suggests that old mirth and menace remain, unsullied by (whisper it) late middle-age. HC: My favourite guitar bits on the album. I was stretched a bit to keep the solo going for that long, but Steve Albini liked it, which is praise indeed. Based on a funny story about Madonna (NB: for more details about that, stick with this blog for our forthcoming Hugh Cornwell big interview). There’s a proper Stranglers feel to the sublime I Want One of Those, the harmonies with Fishman strangely sweet, and the layers multiplying as the song gathers pace. It’s a real grower, with Bell’s drums piloting the whole guitar-driven splendour along, while a gloriously-quirky solo stretching Hugh to wonderful effect. Perhaps that’s Albini’s major strength – creating far-from-obvious gems with the aid of simple clarity. HC: I was very excited when I wrote this. After the melody came together I went for a walk in the country and wrote the lyric whilst I was walking in my head. Had to rush back to write it all down before I forgot it! We’ve all become slaves to a consumer society and its spread into all aspects of our lives unfortunately. Stuck in Daily Mail Land takes us into more classic pop territory, with a real ’60s as well as ’70s sound suggesting to me the kind of early Kinks track that brought cult status for Cornwell’s old chart rivals The Jam. As it turns out, Hugh reckons it’s more like The Who, and he’s right of course. Quintessentially English, but with that Albini influence giving it a Stateside hard edge. HC: Conceived in a hotel in the Midlands about 5 years ago, over breakfast, alone, over a copy of – of course – the Daily Mail. Not that it’s an attack on it; some of my best friends read it. There’s a lot of Hugh’s influences on show on this album, and that continues with the storming Bad Vibrations, a good old rock’n’roller taking a nod – in the title at least – to a certain Beach Boys classic. It would certainly be interesting to hear Brian Wilson and his band harmonise on this. Again, the chief engineer’s influence suggests I might be listening to David Gedge in the closing stages, as those guitars get turned up to 11. HC: People who are familiar with what I’ve done over the years will be familiar with a habit I have of appropriating titles and changing them perversely to my own evil ends. ‘Good Vibrations’ is a classic pop song from the 60’s that needed to be backdoored. The next influence is clearer, with God Is a Woman built around the bass riff of Eric Clapton’s Cream classic Badge. But there’s more to this song than that, with – dare I say it – Hugh perhaps improving on that classic, in what he (with tongue no doubt firmly in cheek) sees as an updating of less-feminist-friendly ’70s anthem Peaches. It’s payback time, and Hugh delivers it in style. Interestingly enough, as well as Badge I hear traces of The Beatles’ Glass Onion from 1968, making me wonder if this is Hugh’s Black Album, 45 years after the Fab Four’s White Album and 35 years on from The Stranglers’ Black and White LP. HC: Probably my favourite track on the album. First few notes may remind some people of ‘Badge’, but I think this is an improvement. The voice is unusually very dry and in your ear, in contrast to the bass and guitar. Hopefully people will consider, as I do, that this is a modern day ‘Peaches’. The Lou Reed influence rides high in the mix again in the echo-laden Love Me Slender, a tight band feel bringing to mind his acclaimed, stark New York album, with what I perceived (arguably wrongly), as a further withering Madonna reference in the Justify My Life hook, before the guitar returns to the fore. Splendid stuff. HC: Another one of my favourites. It would take too long to go into what it’s about. But it is another misappropriation, this time from Presley’s ‘Love Me Tender’ of course. There’s a more melodic intro to Gods Guns and Gays, and I’m thinking of Hugh’s old band and their not-so-angelic choirboy video image again. In short, this is good old-fashioned raunchy pop with plenty of edge, the social commentary adding a downtown US feel to proceedings. HC: A song about the United States of America and the obsessions you find there. The word ‘gays’ is only meant to represent the power of Freedom Of Speech they enjoy in that wonderful country of contradictions. No wonder so many of the Surrealists flocked there in the 1930’s. Another one of my tributes to Arthur Lee and his band Love, God rest his soul. Amen. We’re heading towards the climax now, with an almost filmic quality to the fast-paced A Street Called Carroll, including elements of everything from Hawkwind’s Silver Machine to The Stranglers at their most rocking as Fishman’s rumbling bass and Bell’s energetic percussion provide the backdrop to Cornwell’s American imagery. HC: Los Angeles. Silverlake. Overlooking downtown. A street called Carroll. The most unusual wooden houses. It’s where they shot the ‘Thriller’ video. Quite enigmatic. Not at all what you’d expect in LA. On a hill. Old style street lamps. Not quite sure what it’s got to do with Totem & Taboo, but it was the time when the whole idea of the album became clear to me. Then we’re away with the brooding, almost lumbering In The Dead of Night, that on-screen story feel again on show. Again, Albini’s influence is everywhere – the atmospheric night sounds gradually giving rise to a more basement-dwelling, gravelly feel. Stark to a tee, but with so much power and soundscape hidden between the notes. And like Totem and Taboo throughout, this is a real grower and prime example of – I’ll say it again – a trumphant return from an old but somehow forever-young master. HC: I thought it was about time to write a long epic track, rather like we used to do when I was in The Stranglers. It had to be at the end of the album, and I wanted it to feature an extra instrument, rather like ‘Banging On At The Same Old Beat’ did on ‘Hooverdam’, my last album. Steve (bass & keyboards) obliged perfectly, bless him. Bass riff came to me in the middle of the night and sat around for a while before I realised what was going on. 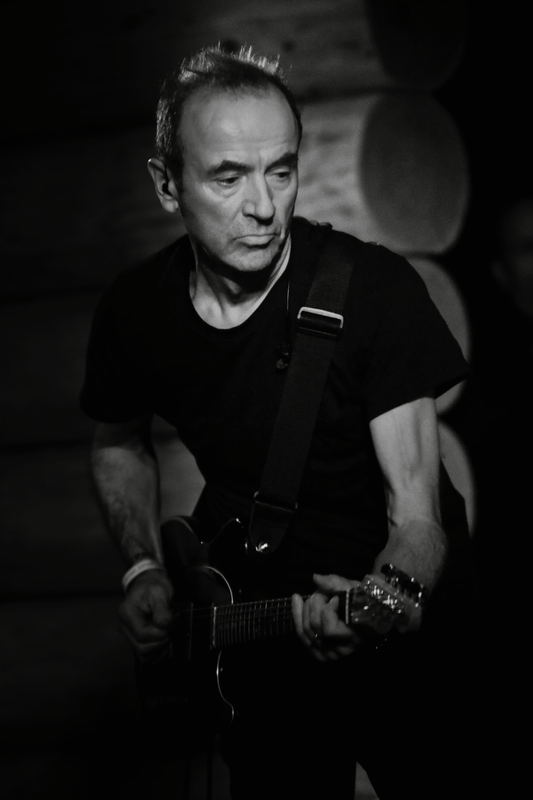 * Watch this space for the writewyattuk big interview with Hugh Cornwell in the next few days. This entry was posted in Music and tagged Chicago, Chris Bell, Chris Goulstone, Hooverdam, Hugh Cornwell, London, Madonna, Steve Albini, Steve Fishman, Stranglers, Totem and Taboo. Bookmark the permalink.